Herbert Ingram was born at Boston, Lincolnshire on 27th May 1811. After being educated at the local free school he became an apprentice in the printing trade. When Ingram finished his training he moved to London where he worked as a journeyman printer. In 1832 Ingram established his own printing and newsagents business in Nottingham. As a newsagent he noticed that when on the rare occasions that newspapers included woodcuts, their sales increased. He therefore came to the conclusion that it would be possible to make a good profit from a magazine that included a large number of illustrations. Ingram moved back to London and after discussing the matter with his friend, Mark Lemon, the editor of Punch, he decided to start his own magazine. With Lemon as his chief adviser, the first edition of the Illustrated London News appeared on 14th May 1842. Costing sixpence, the magazine had sixteen pages and thirty-two woodcuts. 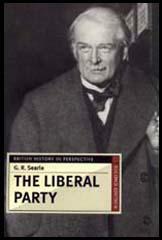 Ingram was a staunch Liberal who favoured social reform. He announced in the Illustrated London Newsthat the concern of the magazine would be "with the English poor" and the "three essential elements of discussion with us will be the poor laws, the factory laws, and the working of the mining system". The magazine was an immediate success and the first edition sold 26,000 copies. Within a few months it was selling over 65,000 copies a week. 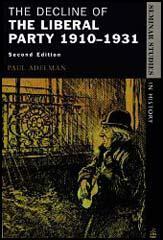 High prices were charged for advertisements and Ingram was soon making £12,000 a year from this publishing venture. In 1856 Ingram became the Liberal candidate in a by-election in his home town of Boston. With help from his friend Mark Lemon and Douglas Jerrold at Punch, and from the team at the Illustrated London News, Ingram advocated a policy of social reform. Ingram told the people of Boston they needed a a "representative who is at once the product and the embodiment of the progressive spirit of the age". The electorate responded to Ingram's message and he won an overwhelming victory. However, several daily newspapers attacked Punch and the London Illustrated News for the part they had played in Ingram's victory. In 1860 Ingram went to America with his eldest son to obtain material for the Illustrated London News. On 8th September, Ingram was on board the Lady Elgin, when the ship was sunk after colliding with another vessel on Lake Michigan. Herbert Ingram, his son, and nearly all the passengers were drowned.